Check out the Star Trek Home Computer. 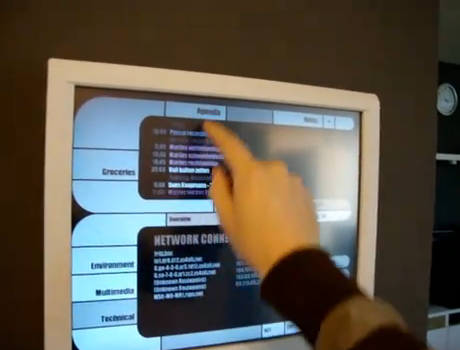 It was designed to use the LCARS interface. The LCARS theme was custom designed and uses the Windows Media Player engine running on Windows XP. The video embedded below, shows a number of features such as the calendar, shopping list, rain radar, train departure times, library & media player as well as the internet browser.